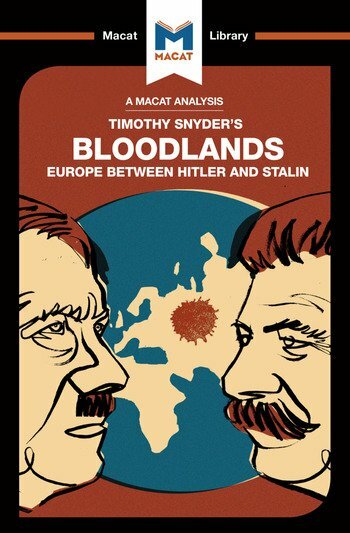 A flagbearer for the increasingly fashionable genre of "transnational history," Timothy Snyder's Bloodlands is, first and foremost, a stunning example of the critical thinking skill of evaluation. Snyder's linguistic precocity allows him to cite evidence in 10 languages, putting fresh twists on the familiar story of World War II fighting on the Eastern Front from 1941-45. In doing so, he works to humanize the estimated 14 million people who lost their lives as their lands were fought over repeatedly by the Nazis and their Soviet opponents. Snyder also works to link more closely the atrocities committed by Hitler and Stalin, which he insists are far too often viewed in isolation. He focuses heavily on the adequacy and relevance of his evidence, but he also uses the materials he has culled from so many different archives as fuel for an exemplary work of reasoning, forcing readers to confront the grim realities that lie behind terms such as ‘cannibalism’ and ‘liquidation.’ In consequence, Bloodlands has emerged, only a few years after its publication, as one of the seminal works of its era, one that is key to Holocaust studies, genocide studies and area studies, and to sociology as well as to history. A masterly work of literature as well as of history, Bloodlands will continue to be read for decades. Dr Helen Roche teaches History at the University of Cambridge, where her work focuses on education and the uses of classicism in Nazi Germany. Her second monograph, The Third Reich's Elite Schools: A History of the Napolas, is forthcoming from the Oxford University Press.